This post is sponsored by Treetopia as part of their Halloween Queens and Kings campaign. 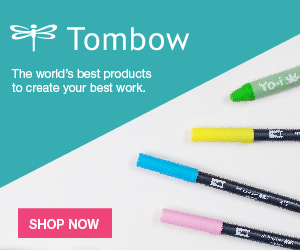 Welcome to Doodlecraft! 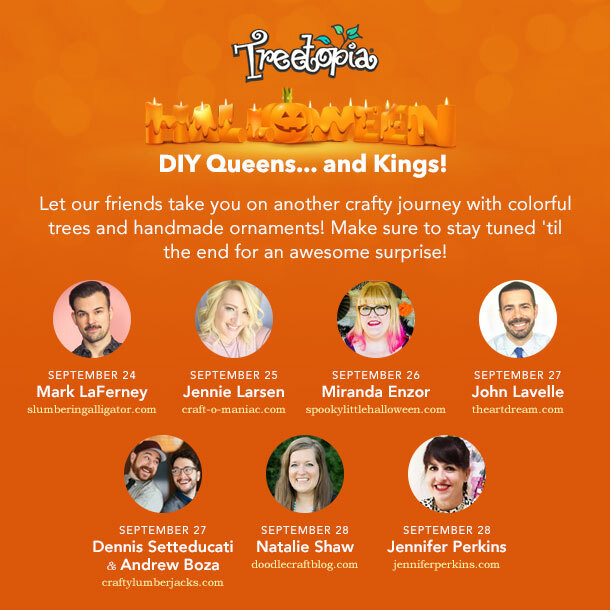 I'm Natalie and I am so happy to be part of Treetopia's DIY Queen's and Kings Halloween Tree Series! 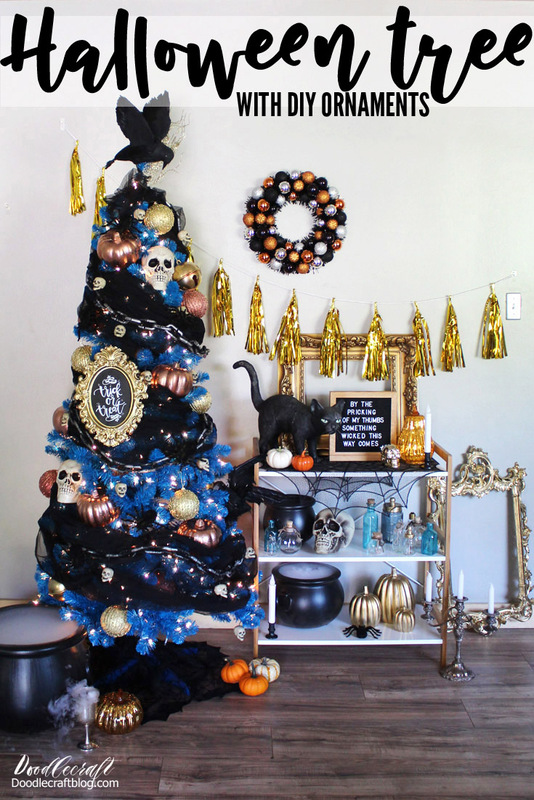 I love Halloween but have never decorated a Christmas tree for Halloween before. This was a fun challenge and adds so much fun and haunting holiday spirit in our home. Have you been following the blog hop with Treetopia this week? Treetopia is hosting a fun blogger event...all focused on the awesome lighted trees. Each blogger received a pre-lit Christmas tree and 2 varieties of Christmas ornaments. 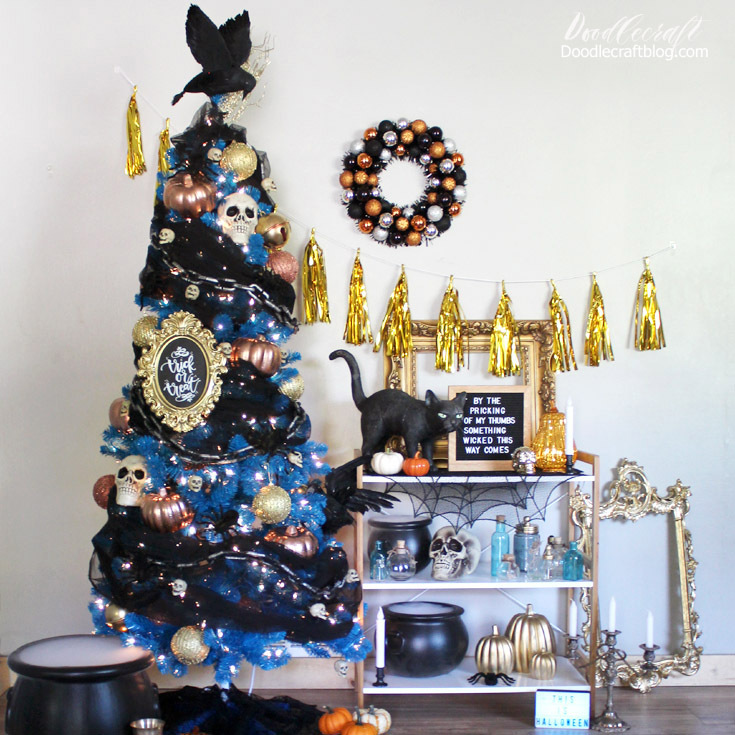 Check out these other amazing blogger and their Halloween Trees! 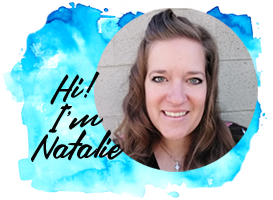 These 7 talented bloggers are all part of this fun blog hop! Each blogger will post their trees on a different day, so make sure to go check theirs out too! Let me show you what I did with this bright blue Christmas tree! First off, there was a short list of available trees for this campaign. The white tree that I really wanted was already selected by Craft-O-Maniac. I settled on this blue tree because it was "slim" style and would fit in my home better...and actually, this turned out much better than a white tree would have. Besides, Blue and Orange are complimentary colors, so it just makes good sense...plus I will have a fabulous Christmas tree in a couple months. The tree is in 3 segments and attaches easily. The plug has this awesome foot button, so the lights can be easily turned on and off as needed...this is so awesome. This blue tree needed some toning down, so I draped some black net fabric around it a few times. The ornaments I received were red, gold and green. I used gold and copper spray paint and painted them to match the theme. I bought some foam pumpkins at the dollar store and painted them copper as well. Let me walk you through the ornament making process for these little skull heads. You will need wire, clippers, a small poking tool like an awl, and the plastic skulls. Begin by poking a hole in the base of the skull. Then poke the tool into the top of the head. Cut 6 inches of wire with the clippers. Use the pliers to make a little curl on the end of the wire. Then thread the wire through the head from the base to the top of the skull. Then curl the other end of the wire the same as before. Leave 1.5 inches on the underside of the skull and bend the wire horizontally over the top of the skull head. Then curl the top of the wire into a "C" shape. Finally push the wire up until the curl is at the base of the skull. Now these little ornaments are ready to hang on the tree! Fill the tree with the big ornaments first and then add small ones. Remove the skeleton mirror in the plastic frame and paint it gold. 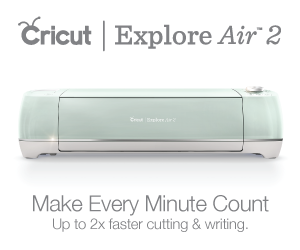 Then cut a piece of black paper the same size. Write "Trick or Treat" on the paper in white chalkboard marker and fit it inside the frame. Add it to the tree with the other ornaments and finish off the tree with spiders. Top the tree with a full feathered crow and some gold grass sprigs. Perfect tree topper for this spooky tree. I love crows, there are hundreds around my home this time of year and I love their chilling "caw caw" call. Fill your house with other fun elements! Letterboards, vintage frames, pumpkins and a spooky cat! A Spider web tree skirt is perfection for finishing off the tree. Instead of presents, cauldrons and chalices of fog are very fitting. Dry ice is such a fun haunting element...for a couple hours! Skulls, jars and pumpkins--this is Halloween! 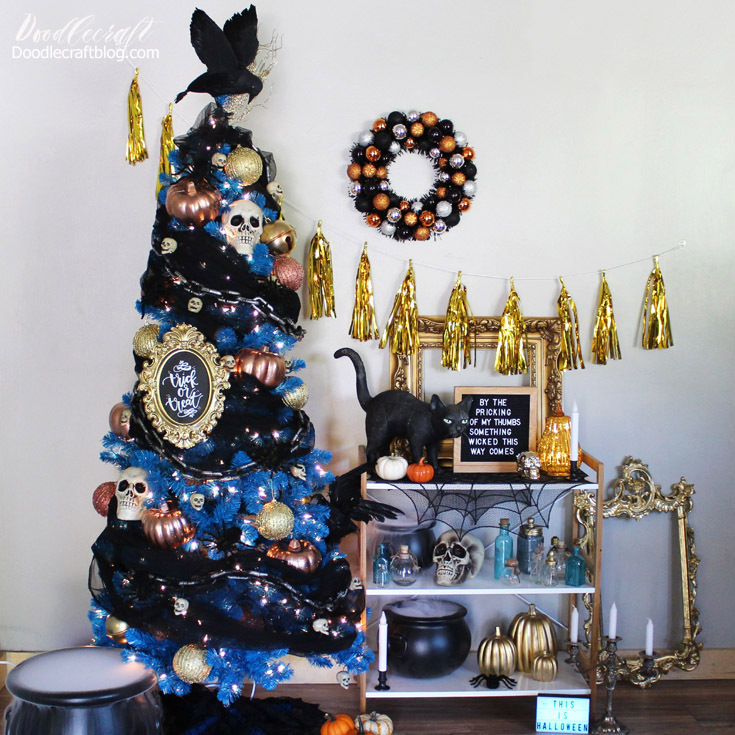 See how amazingly the blue Christmas tree has transformed into a Haunting Halloween tree!? You almost forget that it was a bright blue Christmas tree!? Right! What is your dream holiday tree like? That purple lighted tree is tempting! I think you need to do a Doctor Who tree next with the blue tree. I've been wanting the lighted gold tree since I found Treetopia last year on Instagram. But... I kind of like black too! So many to choose from. I honestly adore the Silver Shadow Ombre tree. I can just imagine it with green ornaments and my "Creature from the Black Lagoon mask as the topper. In my mind it is absolutely gorgeous. I really like the color burst rainbow Christmas Tree, so maybe that one! I really want one of their white ones! I have a mid-century-ish living room and it would look so pretty with bright colored ornaments at Christmas. Boy, I don't know what color of tree I would get! I think I would get a white one so I can do theme colors with my ornaments. I would probably get the blue tree. It's outstanding!! You did an amazing job decorating it! I'd get the blue tree! I have been wanting the color burst rainbow tree! I'd get the rainbow tree!! This is a Hard #1 Love Everything !!! But I Love The Gold tree !!! Tsvm 4 The Chance !!! I really like the TINKERBELL SILVER CHRISTMAS TREE. It has so many possibilities for decorating. All things Thanksgiving :) Thank you for sharing. This is awesome. Silver Shadow Ombre tree has my interest! !